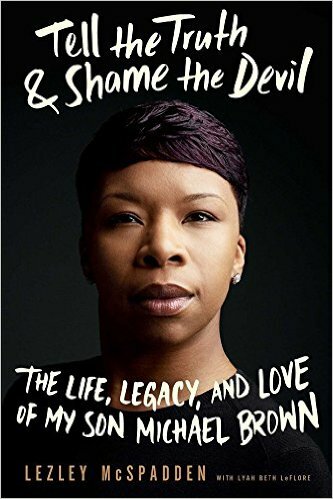 The revelatory memoir of Lezley McSpadden—the mother of Michael Brown, the African-American teenager killed by the police officer Darren Wilson in Ferguson, Missouri on August 9, 2014—sheds light on one of the landmark events in recent history. When Michael Orlandus Darrion Brown was born, he was adored and doted on by his aunts, uncles, grandparents, his father, and most of all by his sixteen-year-old mother, who nicknamed him Mike Mike. McSpadden never imagined that her son’s name would inspire the resounding chants of protesters in Ferguson, Missouri, and ignite the global conversation about the disparities in the American policing system. In Tell the Truth & Shame the Devil, McSpadden picks up the pieces of the tragedy that shook her life and the country to their core and reveals the unforgettable story of her life, her son, and their truth. Tell the Truth & Shame the Devil is a riveting family memoir about the journey of a young woman, triumphing over insurmountable obstacles, and learning to become a good mother. With brutal honesty, McSpadden brings us inside her experiences being raised by a hardworking, single mother; her pregnancy at age fifteen and the painful subsequent decision to drop out of school to support her son; how she survived domestic abuse; and her unwavering commitment to raising four strong and healthy children, even if it meant doing so on her own. 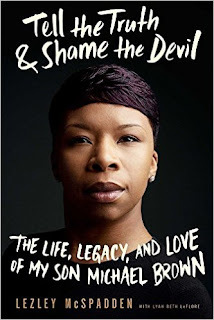 McSpadden writes passionately about the hours, days, and months after her son was shot to death by Officer Darren Wilson, recounting her time on the ground with peaceful protestors, how she was treated by police and city officials, and how she felt in the gut-wrenching moment when the grand jury announced it would not indict the man who had killed her son. After the system failed to deliver justice to Michael Brown, McSpadden and thousands of others across America took it upon themselves to carry on his legacy in the fight against injustice and racism. Tell the Truth & Shame the Devil is a portrait of our time, an urgent call to action, and a moving testament to the undying bond between mothers and sons.